Sometimes called the Polish Thermopylae, the Battle of Hodów was supposedly fought between 25,000 Crimean Khanate forces and just 400 cavalry forces from the Kingdom of Poland. Not much is known about the exact historical incidence, but it was certainly a large Tatar raid (or even invasion) into the Polish territory with the objective of capturing both loot and slaves. The local Polish administration responded to this surprise attack by calling upon mounted Hussars and Pancerni forces from two regional strongholds in Red Ruthenia (present-day western Ukraine). Their initial action involved boldly charging headlong into 700-strong Crimean light cavalry, which successfully dispersed the enemy forces. However, the Polish commander (presumably a man named Konstanty Zahorowski) did notice the sheer numerical superiority of the Tatars, and so decided to withdraw to the nearby Hodów village – to set up a defensive perimeter with heavy and sturdy wooden fences. Inside this fortified ring, the Poles (especially the Hussars) made use of their long-range firearms, and staved off relentless waves of enemy assaults for over 6 hours. There are even accounts that suggest that the defending forces used improvised ammunition from ‘upcyled’ Tatar arrows. In any case, the heroic defense was successful, with over a thousand casualties on the Crimean Khanate side (who finally retreated to central Ukraine), and less than hundred on the Polish side. Later on, the ‘skirmish’ incident was used as state propaganda by renowned personalities like King John III Sobieski. 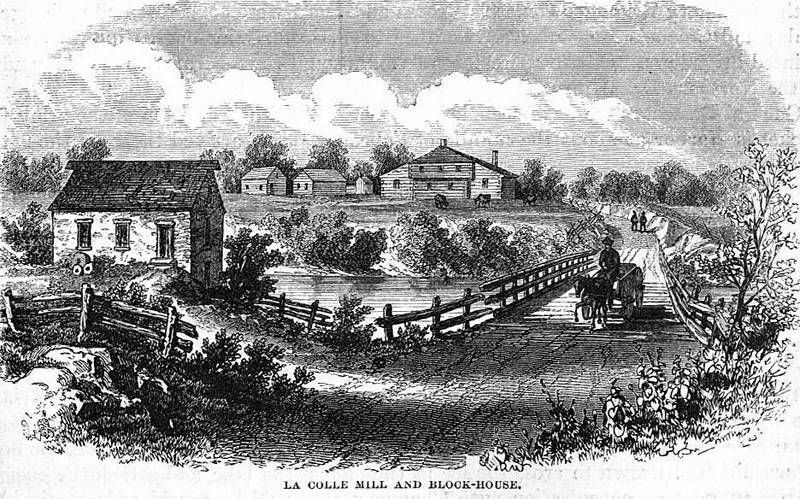 Fought in the vicinity of stone-built mill situated a few miles north of the American-Canadian border, the Second Battle of Lacolle Mill proved to be a major deciding factor that diffused a potential American invasion of Montreal, when Major General James Wilkinson’s 4,000-strong army (with 11 artillery pieces) was stopped by just 500 British and Canadian soldiers. And interestingly, more than just tactics, it was the daredevilry that won the day for the Britishers when they mounted a suicidal charge down the American ranks, in a bid to capture their first-positioned artillery pieces. The battle started with the Americans firing their 12-pounder cannons – which didn’t have much effect on the 80-odd British soldiers protected by the solid-stone wall of the mill. The British garrison also did retaliate with their Congreve rockets, which in spite of their inaccuracy caused causalities on the American side – thus unnerving many of the soldiers who faced such exotic weaponry for the first time. Finally, the 80 British soldiers were reinforced by nearby Light and Grenadier companies, and they under the command of Richard Handcock, launched a bayonet charge against the primary artillery emplacements. But being woefully outnumbered, this frontal assault was subsequently repulsed by the American forces. However, Handcock didn’t lose his calm (or may be he did), and on being further reinforced by Canadian Voltigeurs, he launched a second assault – this time in a tepid manner through an icy-water stretch. This tactic allowed the British to circumvent American lines, thus allowing them to surprise their foes with direct firing on American entrenched positions – which even wounded the American artillery commander. Ultimately, the retreating American host suffered around 150 to 250 men being wounded or killed, while the British-Canadian forces suffered 61 casualties (with 11 of them KIA). 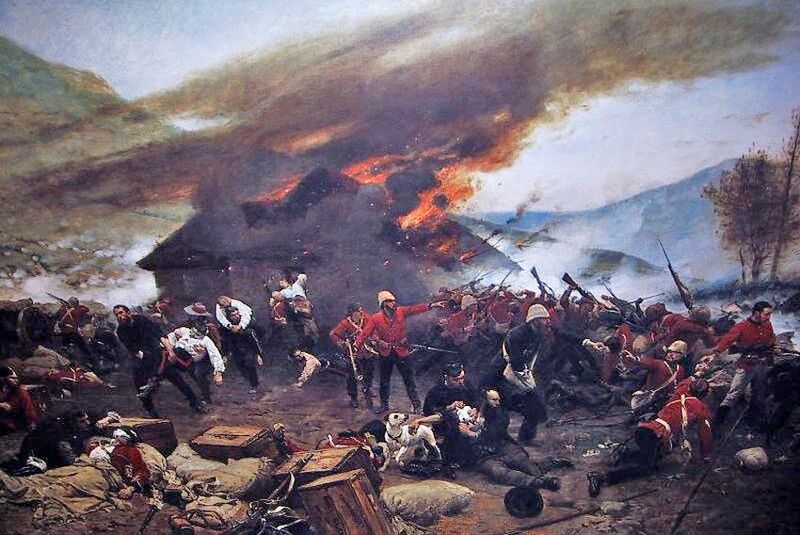 Also known as the Defence of Rorke’s Drift, the battle from the Anglo-Zulu War was fought between 256 British forces (four of them being civilians) and 3,000 to 4,000 Zulu tribesmen. The Rorke’s Drift itself was a mission station situated near a ford by the Buffalo (Mzinyathi) River in present-day South Africa, and it was fortified adequately before the battle began. But, in spite of the preparations, the British were not expecting such a massive force of Zulu warriors, who attacked the post and its disparate buildings (including a hospital) repeatedly in a piecemeal fashion. Furthermore, the chaotic situated was exacerbated when most of the hundred Natal Native Horse (NNH) cavalry troops fled the battlefield, after abandoning their defensive point inside a cattle kraal – thus reducing the defending forces to just around 150 men. The Britishers however did have two significant tactical advantages – their firearms (made effective with improved marksmanship), and the benefit of height from the fortified walls that the Zulus had difficultly in scaling; so much so that many of the tribal warriors jumped and trampled upon each other to gain the elevated ground. Still the defenders were grievously outnumbered, and in the battle raging for more than 10 hours (in which over 19,000 rounds were fired), all of the tired soldiers carried some kind of an injury from Zulu ‘assegai‘ spears or even rudimentary firearms. Finally, the Zulus stopped their aggressive moves by the dawn of next day, with at least 350 fatal casualties; while the British forces sustained 17 deaths. Eleven Victoria Crosses were awarded to these soldiers, which still remains a record for the most ever received in a single action by one regiment (in this case, it was the Regiment of Foot). According to most accounts (which may seem fantastical to some), the Battle of Saragarhi was contested between just 21 Sikh fighters (of 36th Sikh Regiment of British Army) against around 6,000 – 10,000 Pashtun Afghan fighters! The single-day battle was fought along the Samana Range in present-day Pakistan – with the Sikhs defending the Saragarhi post, a makeshift fort made from stone rubble and mud, with a paltry wooden door as the strategic access point inside the compound. In spite of such frugal defenses, the detachment commander Havildar Ishar Singh, resolved to fight till the end. The movement and the mass of the enemy were monitored from the vantage point of the nearby Fort Lockhart, and from there the British could decipher at least 14 standards, which might have amounted to 10,000 men. In any case, charge after charge were repulsed by the steady rifle fire of the Sikhs – even involving occasions when the Afghans used rushing tactics onto the wooden gate. Finally, the Pashtuns decided to set fire to the stunted bushes around the ‘fort’, and in the cover of smoke, a few of them managed to find a blind spot (for the defenders). After that they successfully breached the wall and swarmed the Sikhs with their advantage of massive superiority in numbers. Ultimately, all the defenders died valiantly; but they did score a strategic victory for the British Army – with around 180 to 450 men on the Afghan side reported to be dead. 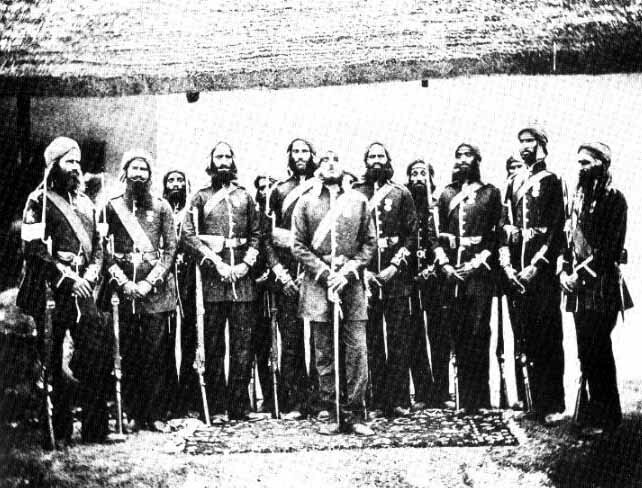 In the aftermath of the legendary engagement, the 21 Sikh soldiers were posthumously awarded the Indian Order of Merit Class III (along with 50 acres of land being gifted to their dependents), with a standing ovation at the British Parliament. Fought in the western theater during the Indo-Pakistani War of 1971, the Battle of Longewala pitted 120 Indian soldiers against more than 2,000 Pakistani soldiers, in the secluded desert border post of Longewala, Rajasthan. And more than just the numbers of men, the Indians were seriously short in armored vehicles, with just one Jeep mounted M40 anti-tank recoil-less rifle, while the Pakistani side crossed into the border with around forty-five Chinese T-59 and US Sherman tanks. 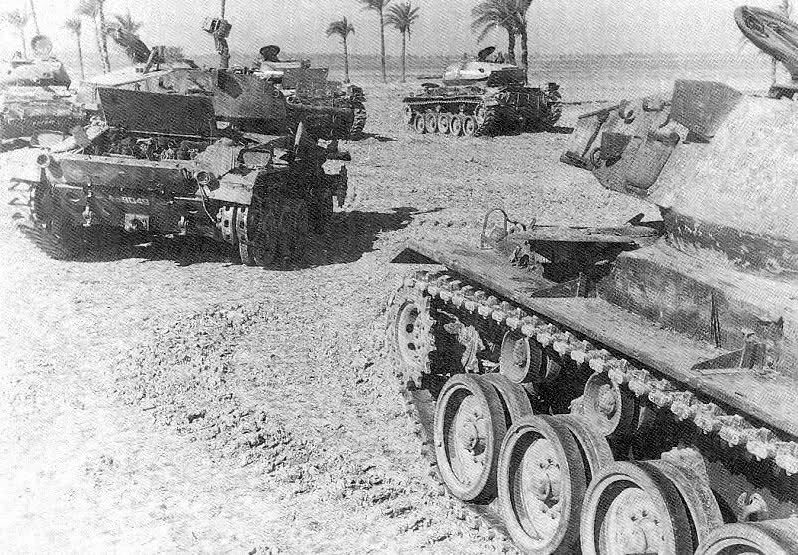 In such dire circumstances, the Indian commanding officer Major Kuldip Singh Chandpuri chose an elevated sand dune as the primary defending position – and from there the outnumbered Indians were successful in destroying at least 12 tanks with their limited ammunition. Oddly enough, the Battle of Longewala was not only about resourcefulness from the Indian side, but it also suggested the complete failure of strategic level leadership on the Pakistani side. Many of modern-day criticisms are directed at the decision to tactically overwhelm the enemy in spite of stunted operational mobility of heavy armaments in unsuitable desert terrain, along with lack of air-support availability. In any case, by the next day early morning, the defending forces were able to call on the Indian Air Force – who efficiently took part in the battle due to better visibility. Their HF-24 Maruts and Hawker Hunter planes nigh decimated the ‘stuck’ Pakistani ground forces, with another 20 tanks and over 100 mechanized infantry vehicles being destroyed by the noon of the 3rd day. 11 Comments on "10 of the remarkable battles from history won against overwhelming odds"
However as a side note, these victories are often written by the victors, who naturally tend to boost the numbers of their opponents. 1400 filipino soldiers fended off the attacking 40k Chinese communist army blunting and delaying their next offensives. These soldier never moved back from their post while the other UN allies already retreated leaving them behind. You have a mistake in Second Battle of Acentejo… The Spanish had at least 1500 men, not 800. Or Korean? The historic Korean battles would put any Game of Thrones episode to shame. Why did you not write about the Battle of Cochin? The Portuguese Empire had quite a few of such battles. Portuguese soldiers were so good that nobody would be a match to them. They were masters of the sword and had super courage in battle. This is a well-known fact that Portuguese soldiers always faced incredible odds, but defeated all of them, despite having lost battles sometimes. 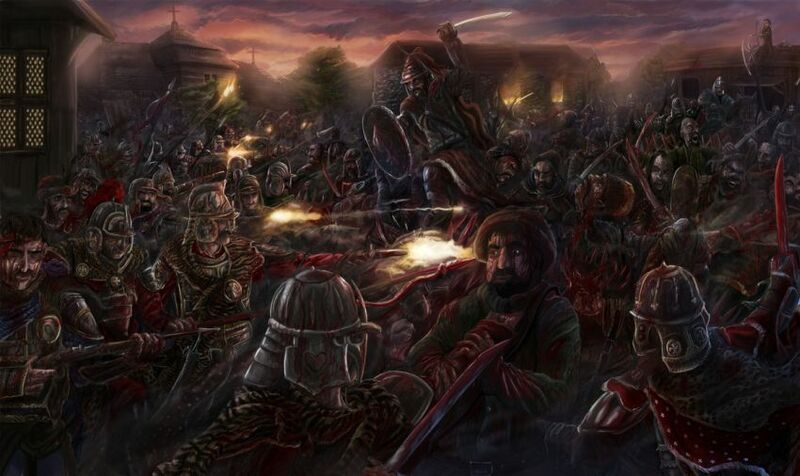 The number of Tatars in battle of Hodów was between 25000 and 70000, but most widely quoted number is 40000 tatars. You should mention that in the article and not just assume that it was the lowest number.